Are Veneers in Florence Right for You? Your dentist near Florence, Dr. Danny Nakhla, says your teeth and gums are doing great. However, you are concerned about how your smile looks. There’s a gap right in the front of your mouth, and frankly, the enamel is extremely dull and yellow. What should you do? Investigate porcelain veneers at Independence Family Dentistry in Florence for a refreshed, even look to your smile. Custom-made at a trusted dental lab in the area, these thin shells of translucent ceramic bond to the front of one or more teeth as needed. Dr. Nakhla performs a comprehensive oral exam to determine the health of the patient’s teeth and gums. Also, he takes digital X-rays, images with an intraoral camera and oral impressions to send to the dental lab. At the lab, a master ceramist makes a three-dimensional model of the individual’s mouth and artistically fabricates the veneers one by one. In addition, the dentist removes a thin portion of tooth enamel (½ mm) from the front side of each tooth. This reduction allows the veneers to fit comfortably. At the next dental visit, the dentist cements the veneers to prepared tooth surfaces with a special adhesive. He changes the color of the veneers by varying the shade of the cement, achieving a perfect match to adjacent teeth. He works with the size, shape and bite for a just right fit and look. As with natural teeth, patients with veneers must brush twice a day with a soft brush and floss daily, too. Patients should see Dr. Nakhla for follow-up and for regular six-month cleanings and examinations. 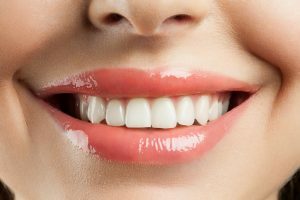 Besides beautifying teeth, porcelain veneers strengthen enamel, particularly at the margins where it often wears thin. However, patients should treat all their teeth gently. Never chew ice or non-foods such as pencil tops. Patients who grind their teeth (bruxism) can avoid serious wear and tear by using a nighttime mouth guard. With good care, porcelain veneers last for years, look amazing and boost self-confidence. Patients just smile more! What Aesthetic Changes Are Right for You? Consult with Dr. Nakhla regarding porcelain veneers and other aesthetic refurbishments. Discuss your objectives and formulate a care plan to help your smile and your outlook. Why wait? Contact Independence Family Dentistry for your convenient appointment. We have ample office hours Monday through Friday in our beautiful, eco-friendly office. Comments Off on Are Veneers in Florence Right for You?